Treat Trunk are dedicated to safeguarding your privacy online. We will only collect, store and use your personal information for specific purposes as outlined below in accordance with GDPR. We use your personal information to support and develop our connection with you. We do use 3rd party services, however they are also GDPR compliant, will never sell your data and will protect it at all times. The majority of 3rd party services we use will have minimal access to data, if any at all. You may contact Treat Trunk at any time with any privacy queries or concerns and to see the personal data you have given us and request modification. Our website address is: https://treattrunk.co.uk. By visiting this website with your browser settings adjusted to allow cookies, you are consenting to Treat Trunk using cookies for the purposes described below to provide you with a fully efficient shopping experience. Please note: to make full use of the Treat Trunk website and to benefit from a selection of personalised features, your computer, tablet or mobile phone will need to be set up to accept cookies. This Cookie is placed by Google. It enables Treat Trunk to learn information about our users use of the Treat Trunk web site such as the time of visit, the pages viewed, whether the user has visited before and the web site visited prior to visiting the Treat Trunk web site. When you register on our website to purchase services, we ask for data such as your name, e-mail address, billing address, and contact details. Treat Trunk keeps a record of this information for tax purposes and for ensuring we fulfil our contract with you. We share your data with a small number of GDPR compliant companies like our email marketing provider, Couriers (to pass addresses to), and accounting systems which are GDPR compliant. We may store your data on relevant systems such as cloud systems. If we are required by law to share any information, we will check with each party concerned to ensure they are happy for that to happen. An example of this would be if HMRC requested an audit. We’ll also ask you questions at registration, and from time to time by email (if we have your consent to contact you by email), this will give us data that can be used to improve your experience of shopping with Treat Trunk. You’re under no obligation at all to answer these questions, they’re all optional, but they will help us communicate more effectively with you. Customised advertising on other GDPR compliant platforms like Facebook if you consent. Contract – customers that place an order with Treat Trunk. Treat Trunk are more than happy to comply with this in accordance with the law. All Treat Trunk data is held for only as long as necessary. We store sensitive data for as long as projects are in progress. Email addresses provided via Mailchimp are stored until consent is withdrawn, reconsent is requested every 2 years. Information required for tax and legal requirements are held for 6 years as a requirement by law. 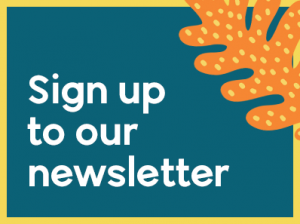 If you’re happy to receive marketing communications by email, you may sign up for our newsletter. This means you will receive regular marketing updates including freebies, special offers, industry news, and tips and advice.